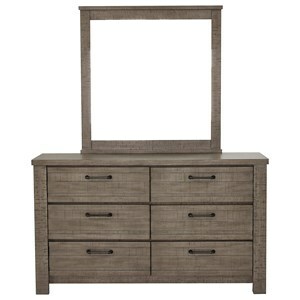 Transform your bedroom with this handsome dresser. 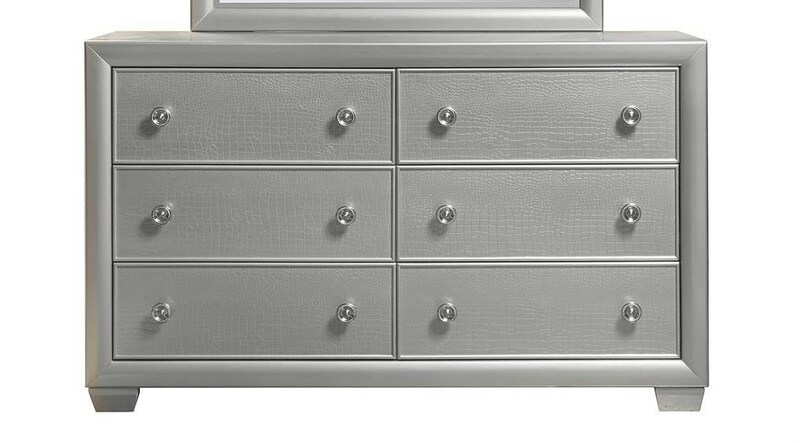 It features clean lines, tapered feet and six spacious drawers with full extension glides, French and English dovetails, knob pulls and textured fronts. 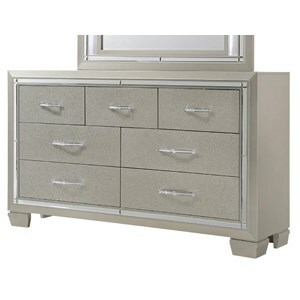 The lustrous silver finish adds a chic touch to any modern setting. The Celestial Dresser by Samuel Lawrence at Great American Home Store in the Memphis, TN, Southaven, MS area. Product availability may vary. Contact us for the most current availability on this product.